Got the lead from BadMagics. Scooped again! And I check for Public Enemy, and I check in with DJ Lord’s Facebook feed regularly. Buuut, what is most important, PE is still doing it! After 30 years, 106 tours across 105 countries and countless records, thank you. This one is on Public Enemy. Get it while it’s free. Ken Paulson, of the First Amendment Center, welcomes Chuck D on this classic throwback episode of ‘Speaking Freely’ (aired on May 18, 2001). The discussion touches on various topics over the course of the half-hour: Mista Chuck’s upbringing’s influence on his career, a survey of his musical influences, the origins of his group Public Enemy, and why he does his music as he does. Great watching. Get to it. Epic July on deck. And this will only be the beginning. Watch the clip above, and get the in-depth scoop at CNN.com. Okay, one time for the Rock & Roll Hall Of Famers, the Hip-Hop’s Freedom Or Death Proclaimers, the… Public Enemy No. 1! Shout to the homie DJ Lord doing it out there as PE performs “Bring The Noise.” Yeeeeeaaauuh Boooyyyeeeee! Watch as Public Enemy brought the noise to SXSW 2016. So it’s cool to be black until it’s time to be Black? Ain’t never too late to go back and give back. Concept video with a grounded feel. No glitz… realness. Hip-Hop Nation approved. Stand up for this “Man Plans God Laughs” visual as Professor Griff and Chuck D walk tall through the community; giving us a view of what could be and what could go wrong if we don’t stand strong for the community and the kids. 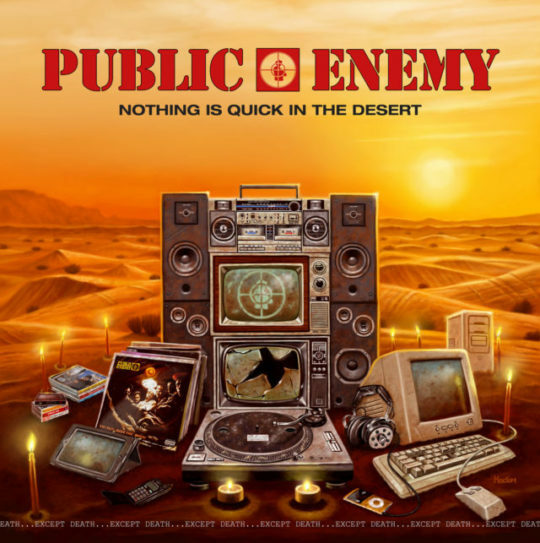 This is the title track for the Public Enemy album out now (linked below). “The idea for the song came from a couple of samples, and the track’s vibe is earnest and has a pressing tone to it. The lyrics are commentaries of our struggles and successes, our weaknesses and strengths… the experiences… and trials and tribulations we have faced as human beings, a race, and as individuals. Lyrically Chuck brings a sense of authority and urgency. The power in his voice demands your attention. With Chuck on the track this is a dream come true for us. The Hip-Hop version of The Clash?? Yep. And Rick Rubin would be the one to tell us about it in Back And Forth (Part 3). Get some gems and jewels about earrrly Chuck D, the founding and shaping of Public Enemy as an act (that would go on to enter the Rock And Roll Hall Of Fame… and rock on ‘The Tonight Show’ the other night) from Rubin and Russell Simmons. Great stuff! The legendary Hall Of Famers Public Enemy (with the homie ATL’s own DJ Lord) brought their A-game as the musical guests on The Tonight Show Starring Jimmy Fallon. Backed by the greatest band in late night, The Roots, they performed “Public Enemy No. 1.” Celebrating 30 years of Def Jam on The Tonight Show is the way to go. Check ’em out above as they bum rush the show! On Okayplayer TV they run this segment called “The Questions.” The man with the answers this time – none other than Public Enemy No. 1 Chuck D! Shout out to the homie DJ Lord (Public Enemy’s DJ) in the background of this vid. That is high praise! This is the trailer for “Rebels Without a Pause” – a film documenting the induction celebration of Public Enemy going into the Rock and Roll Hall of Fame. The documentary is hosted by Doug E. Fresh and features in-depth interviews with Eddie Murphy, Russell Simmons and Darryl “DMC” McDaniels – all speaking on the career and greatness of PE. Icon/artist/actor/activist Harry Belafonte did the movie “Beat Street” (that’s right). A supporter of the Hip-Hop Culture from way back then! So, listen to the OG speak on PE and more in this vid. Respect! Belafonte’s mission of changing the universe should be OUR mission, too! It takes a ‘Nation Of Millions’ to hold back one of the greatest & most important rap groups in history from dropping that “REAL” socially relevant hip hop. The Rock & Roll Hall Of Fame inductees Public Enemy led by Chuck D drop off a brand new video for “Get Up Stand Up” featuring the Minneapolis emcee Brother Ali. The song appears on their ‘Evil Vs. Heroes’ album that’s currently available. Chuck D sits down in front of an audience of superfans as part of Monie Love’s ‘Ladies First’ on SiriusXM Backspin. In the clip above, he drops a megaton bomb: about the hot show in Omaha (Nebraska, USA) where the crowd was thrilled to see PE (Public Enemy) wreck the stage. But the dude they thought was Chuck D… was NOT Chuck… it was Brother Mike (one of the S1W). 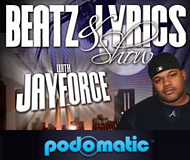 ‘…and to my rescue, it was a S1W!’ Chuck D’s verse came to life that day, for real. Check it out! Public Enemy frontman Chuck D has been speaking for the people for decades through his group’s music. While the majority of rap artists’ music in the mainstream today seems cloudy in focus, execution, & content, the group from Strong Island hasn’t lost any focus. The official 2013 Rock & Roll Hall Of Fame inductees isn’t going to let nothing slow them down with their new video “Everything” off of their “Evil Empire Of Everything” album. In the clip they let the people speak through Chuck D’s booming voice. The great thing about this song is PE reminds people that you are valuable even if it appears that you don’t have “Everything” popular culture tries to tell you that you’re nothing without. See DJ Lord’s Tweet after the jump. READ THE USA TODAY WRITE-UP HERE. 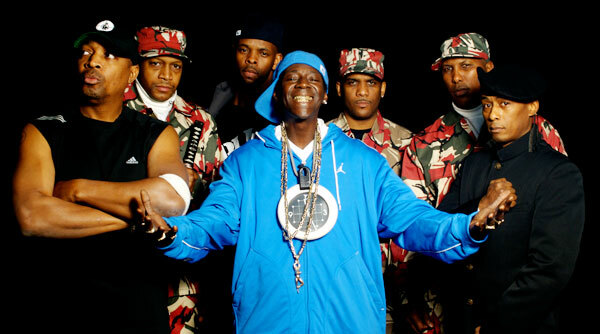 Public enemy nominated for rock-n-roll hall of fame,!!! Thank you everybody!I’m greatfull,!! Fa reelz,!! !Flavor Flav himself,!!! Shout to BATT TUBE LIVE for starting this video with footage of Chuck D and Flavor Flav (of Public Enemy) doing it LIVE in Montreal! 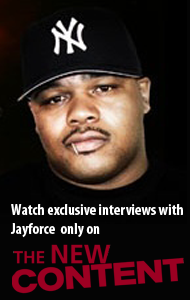 Only after that do we get into the in-depth interview, with Mehdi Medz talking with legendary emcee Chuck D. Chock full of good stuff, the interview portion has Chuck D covering a lot of topics – including, but not limited to, the formation of PE, how special it is to finish college, the truth and importance of lyricism, the loss of the late Chris Lighty. Well worth the watch! Chuck D is the leader of one of my favorite groups of all-time & they still continue to represent globally. Check out this crispy brand new video from Public Enemy called “I Shall Not Be Moved” off of the new album “Most Of My Heroes Don’t Appear On No Stamp” that drops tomorrow Friday July 13th.